So... what can we expect for the new iPhone? On the hardware side, it seems we can count on stretched iPhone, with a new design, and larger screen. A screen that is expected to jump from a 3:2 aspect ratio to a 16:9 one, giving more vertical space for Apps. The CPU should be an enhanced version of the 4S, slightly faster but not yet a quad-core CPU like those popping on high-end android device (and even "low-cost" one, like the Nexus 7 with its Tegra 3 quad-core SoC). 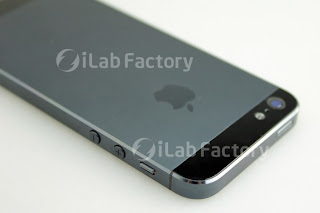 As for RAM, the iPhone 5 is expected to double the amount on the previous models, to 1GB. The new iPhone is also exepected to have 4G/LTE... and there may be some surprised there, as it is said that it will be a global 4G/LTE phone, working on most countries around the world - something that would be a big improvement over the latest iPad 4G... that was only compatible with US carriers. As for the software... iOS is great and simpe... but it also starting to get a bit "old". The balance between efficiency, simplicity, and versatility is never easy to achieve: lots of users are left craving for more power-user settings and tweaks. With iOS6, Apple also cuts its ties to Google, ditching its YouTube App and stops using its Map services - let's see how that pans out - which in the end might be a good thing... as Google will finally be free to launch and update its IOS Apps without being restricted by Apple's grasp. We also expect to have much friendlier and powerful Siri - it's quite annoying you can't use it for things as simple as sending a tweet, or even browsing to a web page and read it back to you when you're on the move. So... new design, bigger screen, 4G, tweaked iOS,... nice things, but no real "revolutionary" inovation like so many people would like to hear. Apple has been playing it cool and the 4S launch has also received in a "mildly disappoint" feeling... but that soon sunk in, and made it the most successful ever. So... it would be expected the new iPhone 5 to follow the same path. In any case... maybe this year we'll really get a "one more thing", presenting us with something completely unexpected that will fill that "void" of wanting "something more".